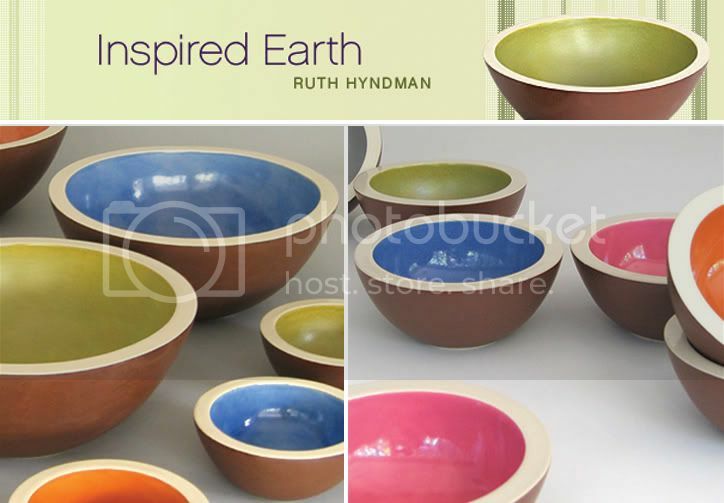 Their bowls are hand-painted, hand-made and their use of color is uninhibited. blogs, Ruth Hyndman and Leah Nobilette have bowled over their admires. bowls will certainty bring a cheeriness to the table. decor can bring a smile to one's face. to use for the set of her television show! The reason why I chose to spotlight "Women Who Make Beautiful Tableware"
to make a human connection. Beautiful bowls. I love the contemporary hobnail. These bowl are lovely. Especially love the interior colors that were chosen. Thanks Ladies for stopping by! 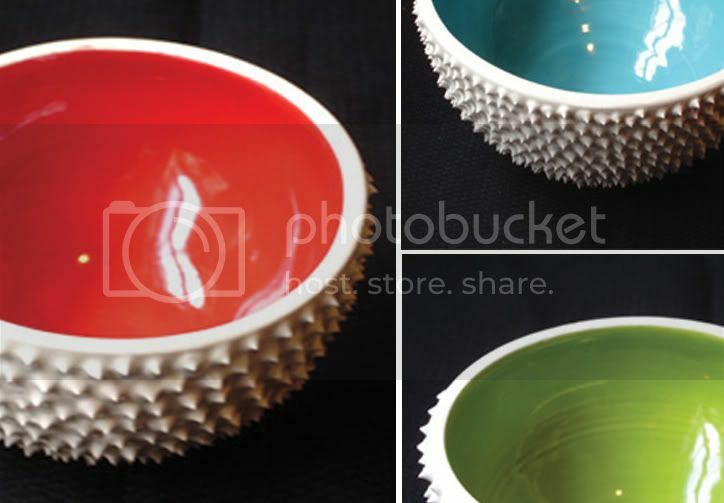 I agree these bowls are beautiful and would add great color to the table! I love how each of the pot has a different color in the inside.